Mumbai: Arsenal legend Thierry Henry said Wednesday there was no way he could see his former boss Arsene Wenger filling the vacant England manager's position. Wenger, who recently celebrated his 20th anniversary as manager of Arsenal, has been strongly linked with the job following the sacking of Sam Allardyce last month. "You can never say never but I personally don't see it happening," Henry told reporters in India's commercial capital Mumbai. Allardyce was dismissed following the publication by the Daily Telegraph of controversial comments made to undercover reporters. Gareth Southgate is in temporary charge with England's Football Association on the hunt for a full-time successor. Wenger's contract with the Gunners is due to expire at the end of this Premier League campaign and he's known to have several keen admirers at the FA. 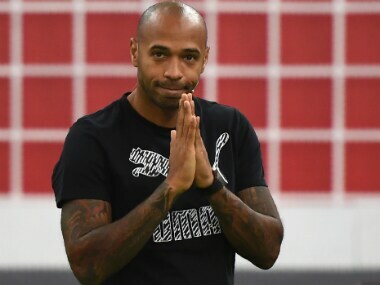 But Henry, who won two top-flight league titles with Arsenal under Wenger, believes his fellow Frenchman may be lukewarm about the idea of coaching the English national team. "I think he answered himself recently when he said that the England manager should be English. That's his own words," said the former striker. "I said recently that Arsene likes to be on the field on a daily basis and when you're coach of a national team you don't get to do that," Henry added. 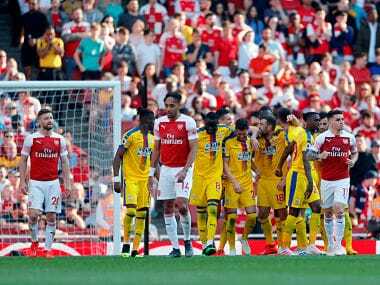 Wenger has been on the receiving end of severe criticism by some fans frustrated by Arsenal's failure to win the Premier League since 2004. 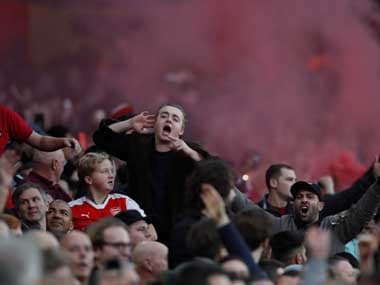 But Henry, Arsenal's all-time top goal scorer, warned supporters to enjoy the 67-year-old while he is still at the club. 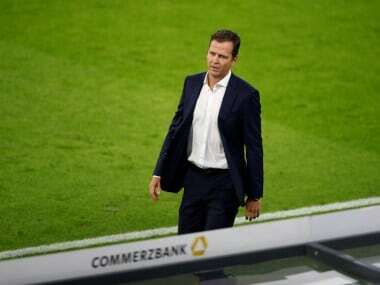 "Be careful what you wish for because when he's not going to be around people are going to realise what he was doing at the time," said the World Cup winner, now an assistant coach with Belgium. Arsenal sit joint top of the league on 20 points with Manchester City and Liverpool after nine games. 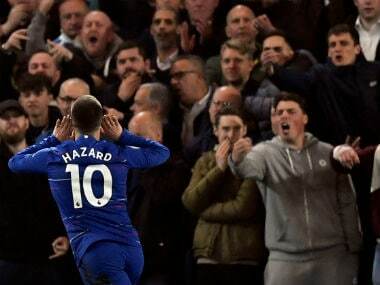 Chelsea and Tottenham are just a point back. "It looks like finally things are going the right way," said Henry, on a promotional tour of India for sports brand Puma. "It would be great if in his 20th season in charge he can win the title. But are they going to do it? The competition is massive," he added.